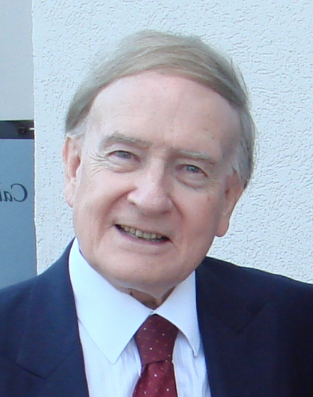 Richard Bewes: Pentecost – the arrows point outwards! Two contrasting kinds of intoxication – and the better way is to be filled – controlled – by the Spirit of God, who was promised to the Church by Jesus Christ before He left this world. It all began on that momentous day of Pentecost (Acts 2). And what surprises! 1. Spirit-filled people are more aware of Christ than of the Spirit. There is this strange anonymity about the Holy Spirit. He comes into the life of every believer – not to draw attention to Himself, but to Jesus (John 16:14). For this reason, a Spirit-filled person – or church – is always Christ-centred. We are not to hug our blessings to ourselves, but to share them with others. Don’t you, Christian, feel better – more filled and fulfilled - at the END of a piece of service for the Lord and for others than you did at the beginning? That is related to the filling of the Spirit. The way to be filled is to be emptied! 3. Spirit-filled people are more absorbed with others’ interests than with their own. Any gifts and abilities we are have given by the Spirit of God we must use for the up-building of the wider community in the church – and beyond. All the arrows point outwards, never inwards! And how can we be filled? By daily removing any blocking caused by sin; by opening our lives in surrender to Christ, and by sharing those blessings of ours! Let’s ask to be filled with the Spirit every day!